With summer in full swing and stir crazy kids in the house I’m already thinking about ways to beat the heat and keep everyone happy and occupied over the school break. One great way to beat the heat is to switch family game night to family game afternoon. Beat the heat of the day by staying inside to play games as a family during the hottest part of the day. Then after dinner sneak in some outdoor time as the sun goes down. After years and years of playing games with little ones, I’m so happy to have preteens in the house to play games with. I have to admit that while I love playing games, hours and hours of Candy Land and Memory drive me batty. Finally some of my children are old enough to enjoy games that are fun for adults too! 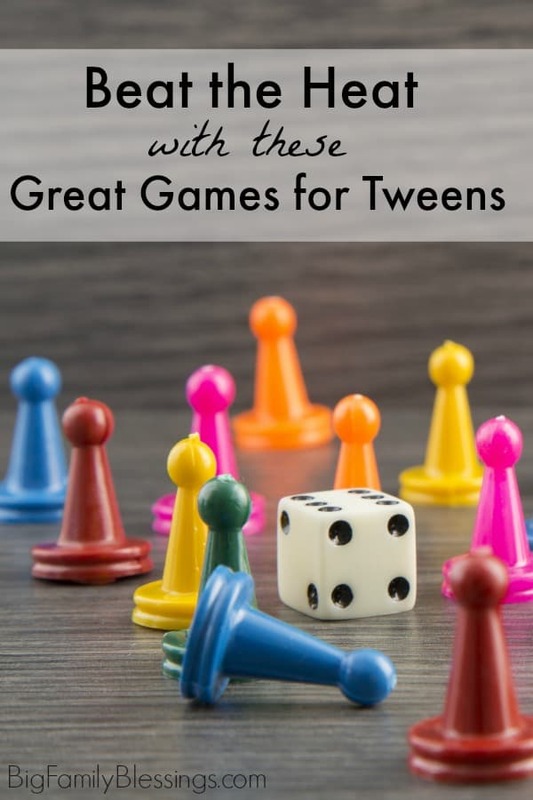 Today I’m sharing several of our family’s favorite games to play with tweens. 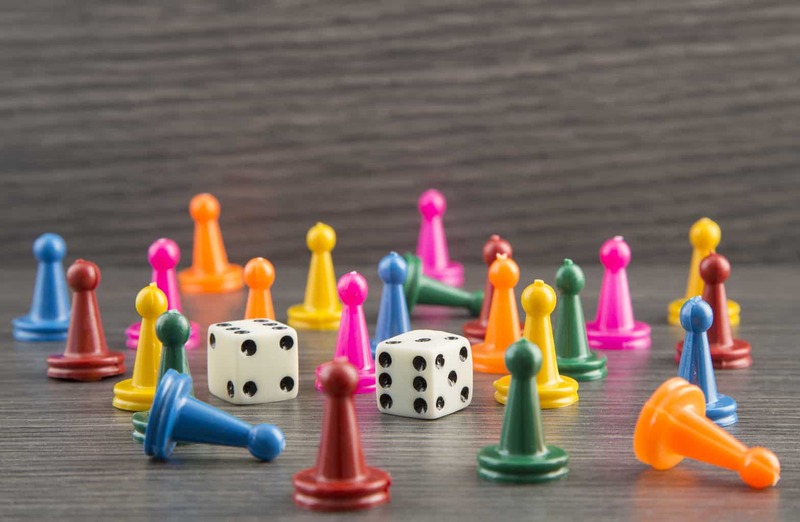 Many of these games can also be played with older elementary aged children, or even younger, especially when teaming up to play and teach the game. Grab a good card game book and a deck of cards. My kids recently learned to play Spades. Rummy is great for when just two people want to play. And don’t forget Spoons- that makes for a loud and rowdy game, but we all love it! Collect train cards and race to place your railroad across America. Be the first team to get a sequence (a run of 5 chips) on the playing board using playing cards, strategy, and luck. Settle the islands of Catan by gathering resources, and trading them to build roads, settlements, and cities. Place tiles in rummy style groups while racing to finish all your tiles first. This game is addicting- and it’s a sneaky way to get in extra math and logic practice too! Dominos with a kick- players build lines of the same shape or color while trying to earn the highest score. A vamped up tic tac toe game that allows players to gobble up opponents playing pieces. This is quick moving game of strategy. The player with the most tiles on the board at the end of the game wins. But watch out, the board can change colors in an instant! Guesstures– A hilarious game of charades, in which you race to guess the word before the timer runs out. Phase 10– Be the first player to complete each phase in this rummy type game. Don’t forget classics like Monopoly, Life, Chess, Scrabble, Checkers, and Dominos. Do your tweens have any other favorite board games? I’d love to add a few more to our game shelf. I love the idea of taking it old school with gold fashioned family games! We love our board game nights around here! Great ideas for some indoor fun. It was a hot one here today, we definitely spent some time playing games! I have always wanted to play Ticket To Ride! It looks like such a fun game! We have Catan in our high school library and the kids love it! Great round up of games!